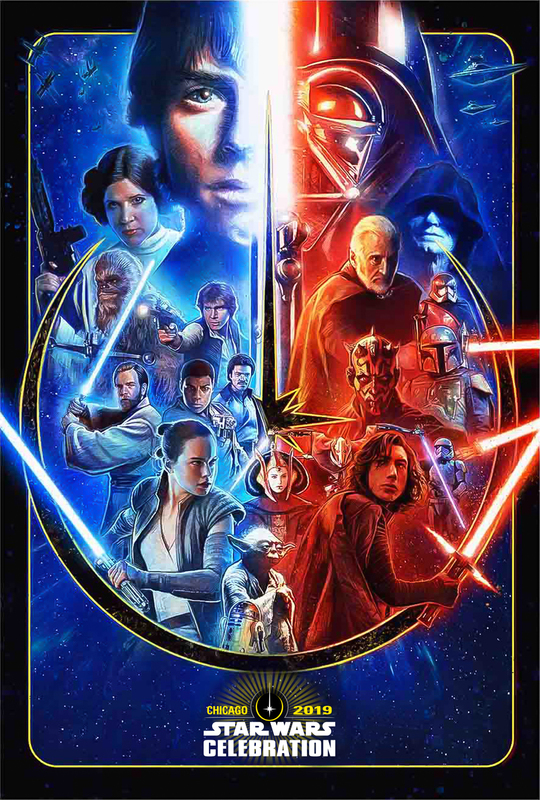 The Star Wars Celebration Key Poster Art has become its own Celebration highlight and tradition, and with good reason — each show has had unique illustrations, with different styles and approaches. Some years, there have been colour themes with stylised takes on characters; other times, the focus has been on an animated series or specific movie. For Star Wars Celebration 2017 the tradition continued with Paul Shipper photorealistic sketches of characters from current Star Wars stories, with a hand-drawn feel. Paul returns for Star Wars Celebration Chicago, coming April 11-15, 2019 at McCormick Place in Chicago. With Celebration 2017, Paul also did the awesome badge art, will he return to do the same for 2019? …I hope so and that he introduces characters from Star Wars Resistance and Solo: A Star Wars Story! !